Windows 10 displays taskbar pop-up ads, which Microsoft calls “tips, tricks, and suggestions”. These tips have included recommendations to use Microsoft Edge for better battery life, and an encouragement to use Microsoft Edge so you can earn Microsoft Rewards points. If you’re like me, I prefer to use my own apps and browsers and I don’t need Microsoft to tell me which ones I should use. To disable taskbar pop-up ads in Windows 10, you can follow the steps below. Some of the other locations you might see ads in Windows 10 are the Lock Screen, Start Menu, and now even File Explorer (follow the links to learn how to disable those ads). 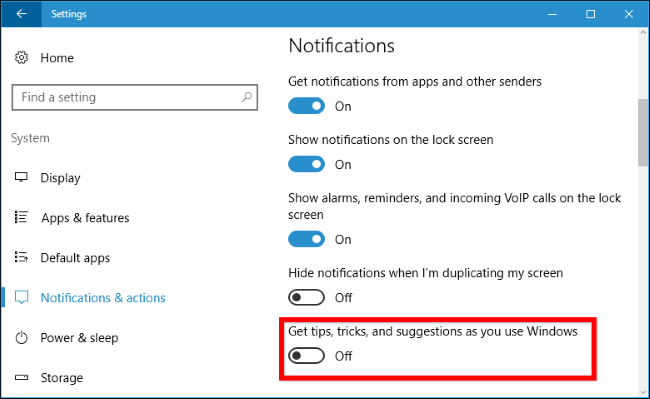 Do you like Microsoft’s “tips”, or did you turn them off? Let us know in the comments below.